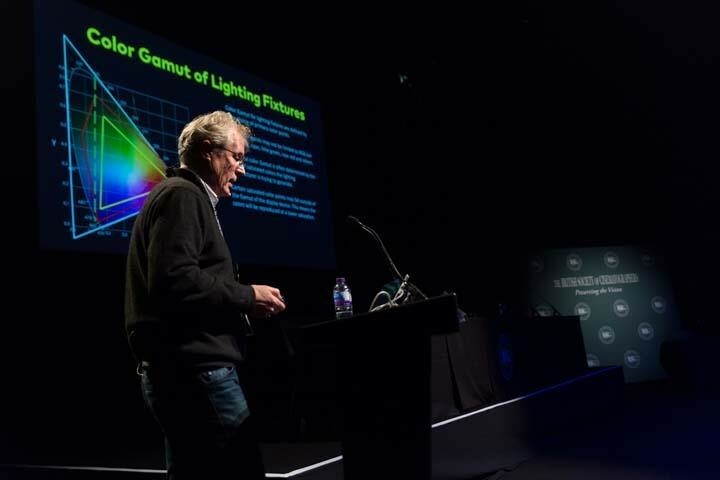 Kino Flo Lighting Systems’ president and founder, Frieder Hochheim, will present a series of discussions covering the latest advances in LED lighting technology for cinema production, with special focus on gamut control and new camera lookup tables for LED’s. 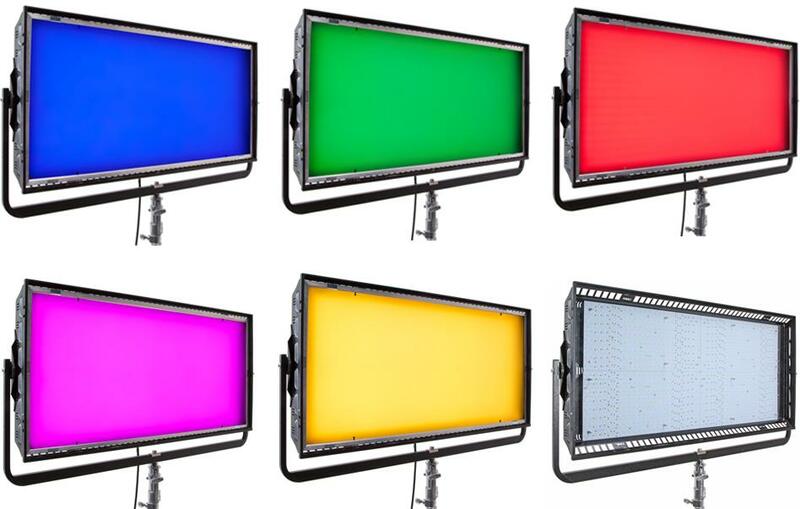 Directors of photography and students of cinematography, gaffers and production lighting technicians are invited to join with Kino Flo, John Barry/Panavision and RPS Lighting for a series of workshops on LED colorimetry for HD image capture. Sydney: The March 20 workshop will be held at the Terrace Function Room, located within the Lane Cove Community Hub at 1 Pottery Lane, Lane Cove/Lower Ground Floor. Melbourne: The March 23 workshop will be held at the Curzon Event Room, located within the Mercure North Hotel at the Corner of Flemington Road and Harker Street. In Sydney and Melbourne, the first Color Science presentation will be held from 1:00 pm to 4:00 pm. The second two-hour session will follow around 5:00 pm. At both venues, snacks and beverages will be served during the afternoon sessions, light refreshments available during a meet & greet gathering after the evening seminars. BSC Show, Color Science Seminar with Frieder Hochhiem, Kino Flo president. A discussion of spectral measurement indexes, both old and new, and how they relate to the reproduction of true white light for image capture. This subject includes a comparative report on the Color Rendering Index (CRI), the Television Lighting Consistency Index (TLCI), IES TM-30-15, and the Spectral Similarity Index (SSI). Kino Flo’s development of a bias spectrometer for measuring the spectral response of lighting sources and camera light sensors as a basis for LED design and manufacturing. Understanding white light and the color gamut. Some of the key areas of discussion include the importance of the Plankian Locus, a section covering Response Curves, such as Photopic (or Eye) curves and HD camera curves. An in-depth meditation on “Understanding Color Gamut”. Differences in the white light color spectrum as recorded by HD technology. The challenge(s) of matching white light and RGB color produced by luminaires from different lighting manufacturers. Hochheim the Kino Flo crew will lead a hands-on demonstration of new developments in LED software offerings, including the application of X-Y values, RDM operation, Gamut control, lighting special effects and more. Attendees will also have an opportunity to work with Kino Flo’s most recent collection of LED FreeStyle Panels, FreeStyle Tube Systems, Celeb, Image, Diva-Lite fixtures and systems during this segment. Kino Flo will also debut during the Sydney event a new LED fixture planned for release later in 2019. Since developing a color science department for its True Match® tubes in the 1980’s, Kino Flo has been at the forefront of LED design and manufacturing, creating a color correct, color stable line of tungsten and daylight LED emitters. The company has maintained color quality for more than three decades of fluorescent and LED design, across all product models. From film to digital cinema cameras, to other color critical industries such as smart phone calibrationand art restoration studios, Kino Flo is recognized for unrivaled color management. Gaffers and set lighting technicians enjoy a growing collection of premium softlight “brushes”, like the new FreeStyle LED Tubes, to paint spaces and faces with white light, color and effects. 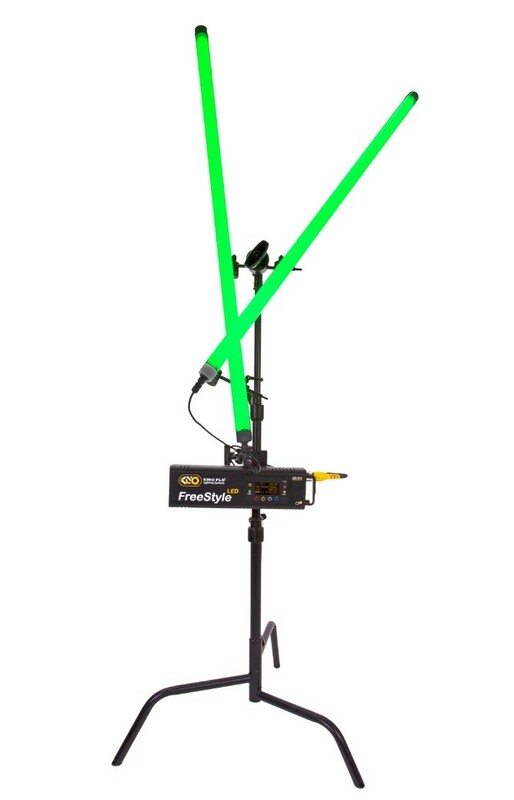 Kino Flo has been expanding its wireless DMX production lighting, moving beyond its legacy fixtures with new FreeStyle LED portable systems, adding new designs for the Celeb LED’s, debuting a value line of Image LED studio fixtures, and expanding options for video lighting with new Diva-Lite LED’s. True Match 3.0 transforms Kino Flo LED’s into Candle, Fire, TV, Police, Lightning, Paparazzi, Pulse and Scroll effects simulators with the press of a button. Each special effects mode comes with a choice of FX types. Lightning, for example, has “Storm” and “Frankenstein”. The Storm effect is modeled on the rate and amplitude of thunderstorm strikes, and Frankenstein displays brighter, more cinematic light flashes. There is also rate control, and a cue feature using the power button. Kino Flo has taken its time coding intuitive, hands-on software that’s like having an FX lighting console built into every LED controller. Presets in the TV setting, for example, are the result of hours measuring light and color variations on TV monitors throughout a programming day. In TV “Sports” setting, the lighting effect is bias in cooler, deeper saturated blues and greens, and the light variation simulates outdoor sporting action, such as football or rugby events. The TV mode also comes with “Movie” and “Music Video” pre-programmed lighting scenarios. All eight of the FX modes have four memory buttons to store custom lighting effects, for a total of 32 FX presets. “We wanted to take some of the same lighting effects that board operators program remotely for motion picture or television productions and make the effects accessible onboard our Celeb, FreeStyle and Diva-Lite LED products” said Frieder Hochheim, president and founder of Kino Flo Lighting Systems. “We will continue to add features like FX lighting to our LED lighting systems to ensure customers’ Kino Flo lighting tools stay sharp". Candle: Simulates a candle flame. It has “Interior” and “Breeze” settings. Interior is a typical, small candle flicker. Breeze flickers as well, but with larger jumps in brightness. Fire: Light mimics an open fire. Pre-programmed under Fire is “Firepit” and “Gas Fireplace”. Police: Simulates police and emergency vehicle flashing lights. The five types are, “Blue + Red”; “Red”; “Yellow”; “Blue + White + Red”; and “Blue”. Paparazzi: Simulates random still photo camera flashes. Comes with “Red Carpet” and “Stalker”. Red Carpet has very quick, frequent and random flashes. Stalker flashes less frequently, with longer pauses between bursts. You can also use the Power button to cue flash effects. Pulse: Repeats colors, like a flashing neon sign. There are no pre-programmed types for Pulse. Parameters are set by using the” Hue”, “Saturation”, “Rate”, and “Length” (LEN) controls in the Pulse mode menu. Scroll: Simulates color changing light over a period of time. Like Pulse, there are no preset FX lighting types, but parameters are set using the “Time” and “Saturation” (SAT) controls in the Scroll mode menu. In addition to the exciting new FX features, Kino Flo’s True Match® 3.0 firmware comes with other light control enhancements, such as an adjustable Frequency setting, dual Antenna controls for DMX wireless reception, color value sharing, and refined DMX dimming. The default frequency setting on Kino Flo LED controllers is 30kHz, which generally is flicker free for most productions shooting onHD or film cameras up to 240 frames per second. However, with the new firmware, the frequency can be dialed up to 300kHz when shooting at higher frame rates and shutter speeds. For clear, stable DMX wireless reception, Kino Flo LED’s come with two built in antennae. With TrueMatch 3.0, users can manually select the smaller, internal #1 PCB (printed circuit board) antenna, or elect to stay with the #2 EXT (external) antenna, the more powerful of the two antennae. New mode features within the General Menu allow users to translate RGB values to Hue & Saturation values, and to make other settings changes that take effect only after exiting the General Menu. Kino Flo has refined further its LED dimming and color controls. Already the leader in smooth, flicker free dimming systems, the new firmware profile ensures color compatibility from fixture to fixture even when light levels vary widely. The industry has been asking for LED fixtures with a consistent, controlled dimming curve that doesn’t affect the color saturation when moving between 100% and 1% light output. The latest firmware update to the Kino Flo line of fixtures ensures a superior level of consistency.